Anna Lena Klein from Engelberg, Stans (NW) won the “Swiss Junior Water Prize 2017” for her research work on «Algae-based Bioplastics – How to produce plastic from algae”. The prize has been awarded for the first time this year. As winner, she is taking part in the international competition “Stockholm Junior Water Prize” during the World Water Week, where she is representing Switzerland. 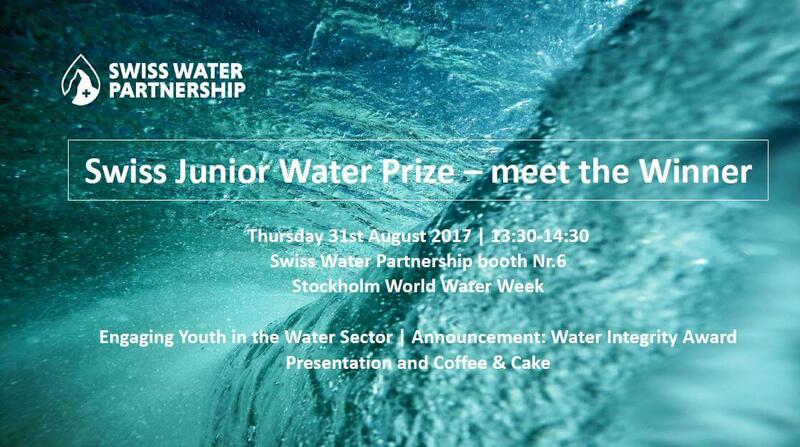 You are invited to meet the Swiss Junior Water Prize winner 2017 and get to know her project. Moreover, you will learn more about the Water Integrity Award that will be launched in Autumn 2017.